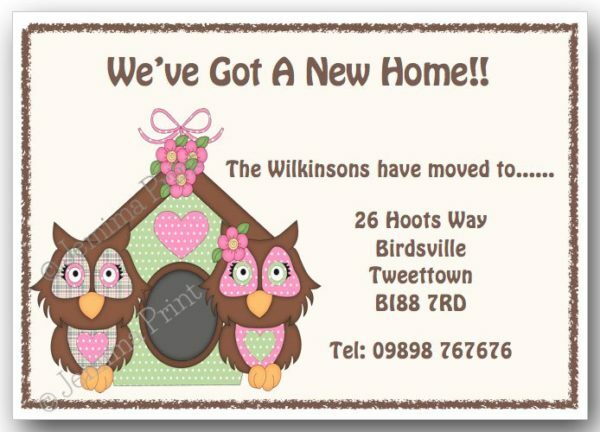 The standard wording on this design is: We’ve Got A New Home!! 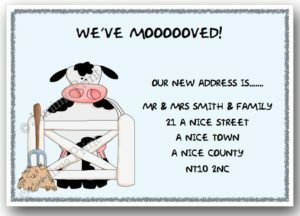 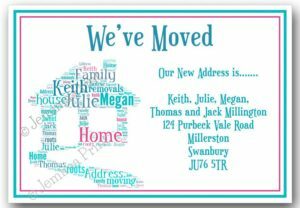 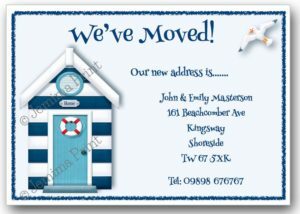 (names) have moved to…….. (address details). 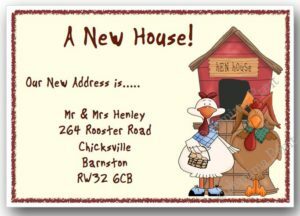 A phone number can be included if required.